We saw these fantastic Star Corals come out at night. Click here for the full-color closeup. 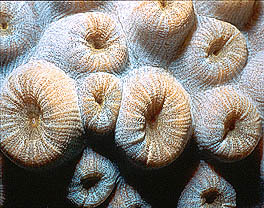 These Star Coral polyps were huge. 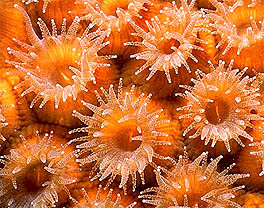 Click here to see what Star Corals look like in the daytime. 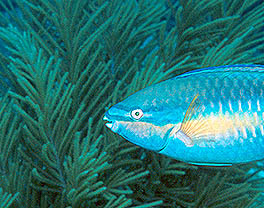 Princess Parrotfish are among the most colorful fish on the reef. Click here to see the whole thing.